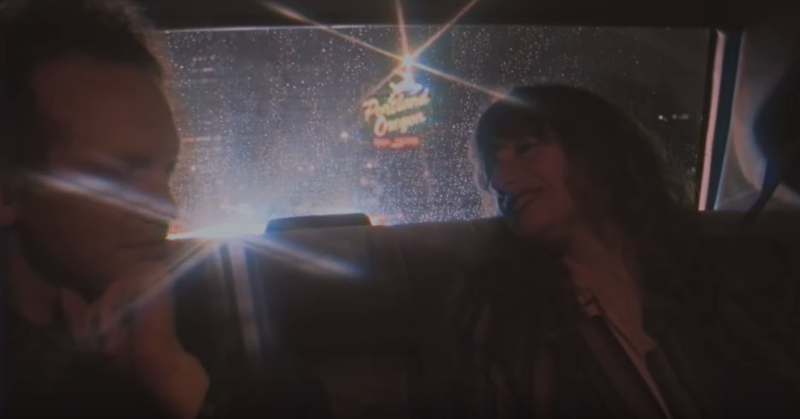 Portland’s Pure Bathing Culture debut the misty, Spencer Gentz-directed video for their dazzling new single, taken from one of our favorite albums of the year. PBC’s Sarah Versprille + Daniel Hindman tell us that Night Pass “is a record about perseverance and protecting what you love”, and “All Night” is a beautiful expression of the record’s prevailing theme of devotion , the kind of unabashedly and inspirationally romantic jam that’s made us love this band so much from the beginning, and a moving testament to staying the course with the one you love. “all night i’ll run with you / til black in the sky turns blue”, sings Versprille, resolute and unwavering in the face of the uncertainty and “emotional tumult” from which the new album emerged. “‘All Night’ is simply about two people who refuse to give up on each other”, the band continues. “The darker it gets the harder they run.” Night Pass is out April 26th on limited violet vinyl via Infinite Companion.